Jerry Clark is well known in Atlanta as the founder of 1972 Entertainment, an event promotions company that has evolved from throwing music industry events to providing talent management and production. He has worked with numerous record labels (Relativity Records, Rawkus Records), corporate brands (Reebok, Martell Cognac) and hip hop artists (Fat Joe, Common) throughout his career, and has now added social entrepreneur to his resume as the founder of the Jerry Clark Foundation. The foundation's goal is to create individuals that will be assets to society by stressing high academic achievement and helping youth avoid dropping out of school and drug abuse. 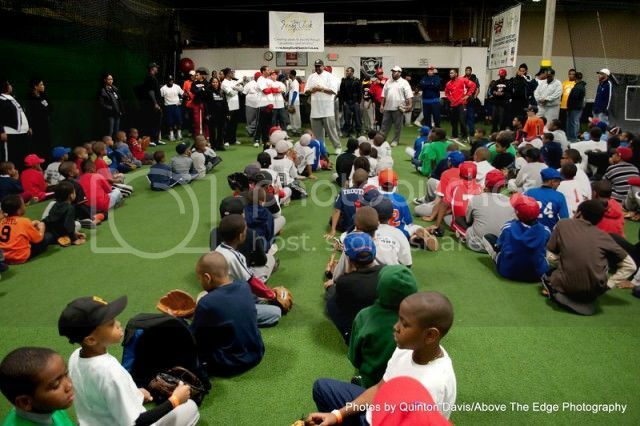 On January 23, 2010, the Foundation hosted its 2nd annual Tom “Flash” Gordon Winter Baseball Camp at The Batter’s Box in Decatur, Georgia. The camp was a full day of baseball instruction and enhancement for 150 boys and girls, ages 6 to 14, on all skill levels. Major League Baseball players and coaches were on-site to aid in the development of individual skills through instruction, individual and multiplayer drills, and game experience. 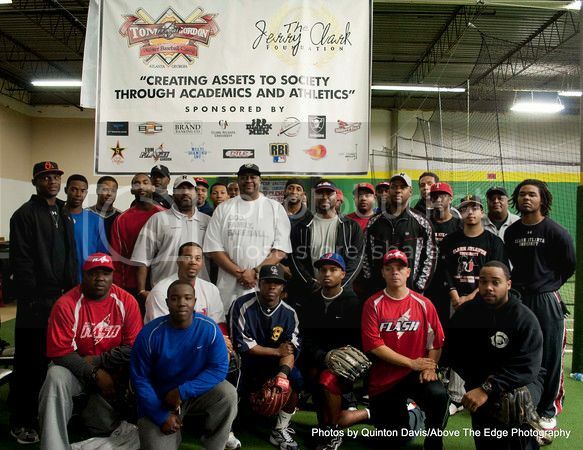 This year’s attendees included: Tom “Flash” Gordon (21-year MLB Veteran), Dee Gordon (Los Angeles Dodgers), Jasha Balcom (Chicago Cubs), Cedric Hunter (San Diego Padres), Xavier Avery (Baltimore Orioles), Darryl Boston (Chicago White Sox Coach), Derwin McNealy (Clark Atlanta University Head Baseball Coach) and the Clark Atlanta University baseball team. Commissioner Lee May of Dekalb County and University of Georgia All-American Linebacker Rennie Curran also made special guest appearances. Each camper received a certificate of completion, a camp T-shirt and a motivational speech from DJ Greg Street, Disc Jockey and On-Air Radio Personality for V-103. The baseball camp is just one of many events the Jerry Clark Foundation hosts throughout the year. Jerry Clark shared, "I am very excited about the future of our foundation. We will continue to expose and introduce the youth to positive experiences. It is great to have the community in our corner." 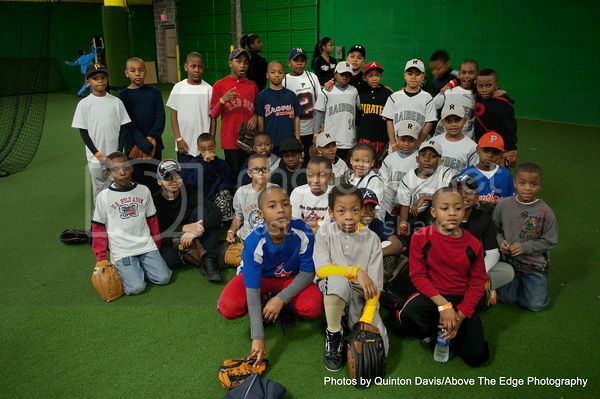 Sponsors for the event included Powerade, Born 2 Compete, The Brand Banking Co., Clark Atlanta University, 100 Black Men of Atlanta, The Batter’s Box, Georgia Raiders Baseball, The Hitter’s Box, Multi Diamond Inc., JR RBI/MLB, Energy Fitness and Fifth Street Agency. For more information on The Jerry Clark Foundation or to find out about upcoming events, please visit www.jerryclarkfoundation.org. Obesity is an epidemic in the African American community. It has been estimated that four out of five African American women are overweight or obese, and our children don't fare much better. African American children are more likely to be overweight than their white and Asian counterparts as early as age 4. There are many factors contributing to this, among them unhealthy eating habits and little to no recreation. Many elementary schools no longer offer physical education! If this trend continues, today's children are more likely to have medical problems such as diabetes, heart disease and high blood pressure, in their teens! 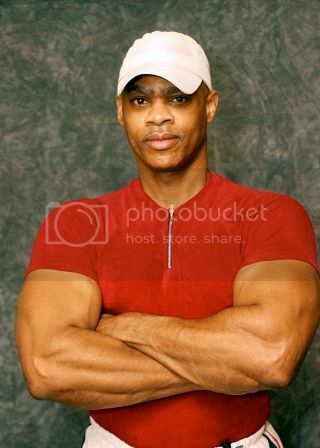 Vincent Ferguson, a US Navy veteran, author, motivational speaker and personal trainer from New York, has made it his life's mission to get our kids fit and healthy. In 1989, Ferguson created Body Sculpt of NY, a non profit health and fitness organization to educate children and parents about obesity and healthy alternatives in fitness and nutrition. The organization uses certified fitness instructors to provide a range of fitness clinics throughout New York City, such as their Six Week Fitness Programs and childhood obesity prevention seminars. 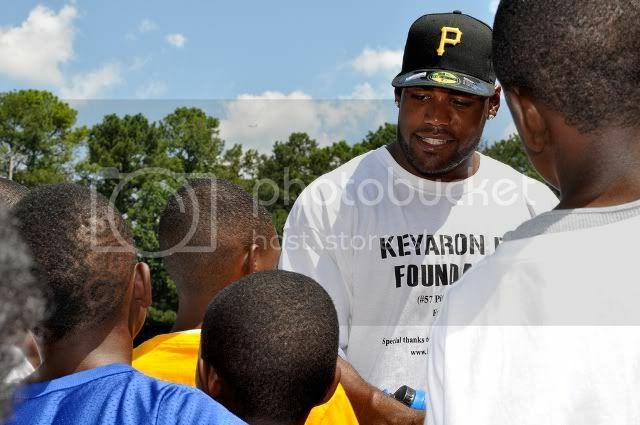 In 2004, Ferguson created the Children's Sports and Fitness Expo, a semi-annual event designed to provide children free access to a variety of sports activities and health screenings. Some of the many activities are fencing, archery, golf, tennis, double dutch, volleyball, and much more. The next Expo is scheduled for this June, and fundraising efforts are underway to support this event. On March 27, 2010, the organization will host its annual Walk-A-Thon for Children's Health at Prospect Park in New York as a fundraiser and to raise awareness about childhood obesity. The organization has had numerous celebrities support their cause, and the ultimate goal is to host Expo events throughout the country. For more information on upcoming events and how you can participate, visit the website at http://www.bodysculpt.org/. 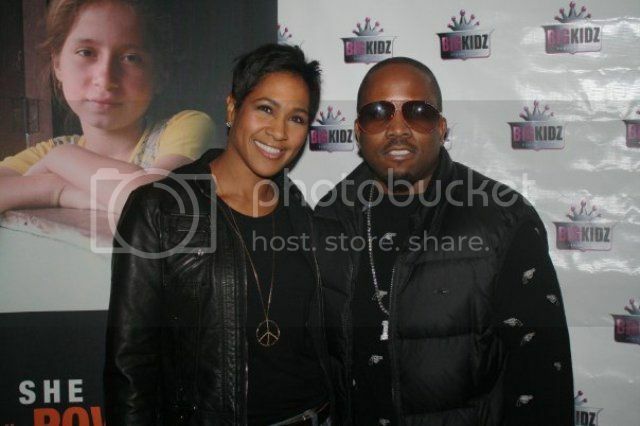 Actress Terri J. Vaughn and hip hop artist Big Boi attend a celebrity fundraiser for Haiti at Rare restaurant in Atlanta, January 18th. On January 18, 2010, Big Boi’s Big Kidz Foundation, Atlanta City Councilman Kwanza Hall, and other local celebrities came together to support CARE’s relief efforts in Haiti. A celebrity fundraiser was held to collect monetary donations to assist CARE in its efforts to raise $10 million dollars needed to provide food, water, and shelter to the victims of the recent earthquake in Haiti. Outkast member Antwan “Big Boi” Patton called to service the Atlanta community to open their hearts and wallets to aid the disaster in Haiti. He challenged local celebrities, community leaders, businesses and organizations to take a stand on the King Holiday. 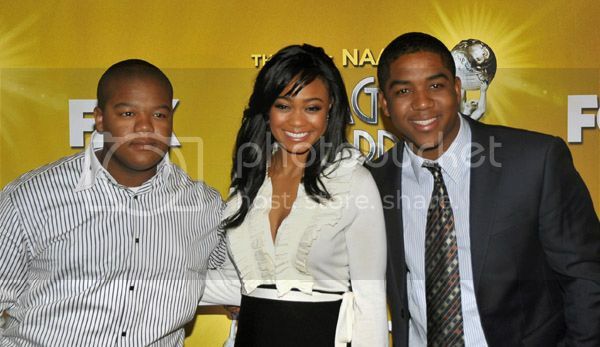 R&B star Neyo and his Compound Foundation led the way by pledging $50,000. Mayor Kasim Reed asked Atlantans to respond “in the Atlanta Way” and launched http://www.atlantacares.org/, a website designed to help Atlanta residents unite in their response to the Haitian crisis disaster relief efforts through its hometown international humanitarian organization. Atlanta answered the called by raising nearly 1 million dollars for CARE. Atlanta Cares for Haiti was made possible with the support of Lorenzo Wyche Restaurants who generously donated the use of their critically acclaimed restaurant Rare for the evening. 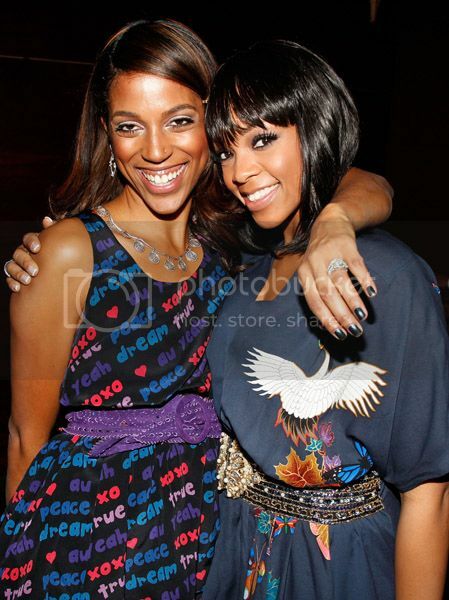 Leading radio station V-103 and Q100 signed on as promotional sponsors. In attendance at the event was Academy of Country Music Award nominee Stokes Nielson and The Lost Trailers, R & B singer Sammie, Former Atlanta Mayor Shirley Franklin and actress Terri J. Vaughn. “The Big Kidz Foundation primarily focuses on youth development in Georgia, but we felt compelled to support a country where children make up 50% of the population leaving more than 2 million children affected,” shared Jennifer Lester, Big Kidz’s Executive Director. 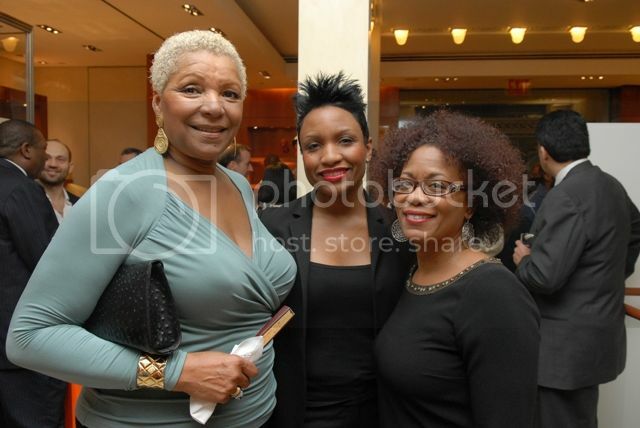 Event co-chair Victoria Rowell, Pursuit of Dreams founder Beverly Kearney, Event co-chair Debra Lee, Extra-Ordinary Life Foundation founder Stacie Turner, and Proctor & Gamble's Vince Hudson attend the kick off event for the Extra-Ordinary Life Foundation on January 15, 2010 in Washington, DC. Stacie Turner is an accomplished businesswoman and entrepreneur, with a MBA from Harvard and an impressive corporate career, working for companies such as BET, Sprint, and Proctor and Gamble. Her desire to achieve came from her parents, who provided her with a nurturing childhood, a stable home life and exposure to people, places and experiences that built her positive image of self. One may think that Stacie was born into privilege, but she was born into the DC foster care system. 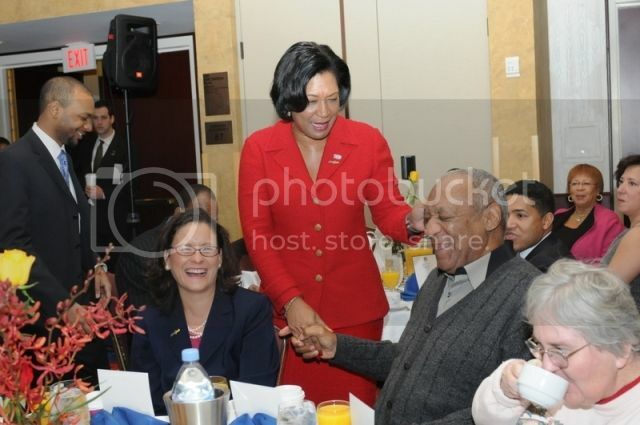 My DC contributor Jenn attended this event along with 200 other guests that included DC City Council members Marion Barry, David Cantania, Muriel Bowser, Yvette Alexander, and Council Chairman, Vincent Gray; and former first mother Virginia Williams, herself a foster child and foster parent. Other special guests included South African rapper Hip Hop Pantsula, former DC Councilmember Charlene Drew Jarvis, and Joigie and Ken Tolson representing the Melvin B. Tolson Foundation. “My goal is to show teenage girls that the world is their oyster by providing extraordinary experiences,” shares Stacie Turner, Founder, Extra-Ordinary Life Foundation and product of the DC Foster Care system. During the program, Stacie talked about her organization and showed a heart wrenching short film featuring children in the foster care system, some of whom have not found permanent homes yet. There were sad stories but also triumphant stories that provided hope from those who found loving homes. She talked about the fact that there are 2100 foster children in DC. Debra Lee announced that BET will sponsor girls on this life-altering trip and shared about BET's efforts to start a network in South Africa. Vince Gordon representing Proctor & Gamble's Cover Girl, spoke about inner beauty and self esteem, also sharing that their company would sponsor a girl. Johnny Moloto, Deputy Chief of Mission at the Embassy of South Africa, reinforced their first lady MaNtuli Zuma’s commitment to Extra-Ordinary Life. The Spousal Office of the President of South Africa and first lady Zuma, will host the group once they arrive in South Africa. Zuma leads South Africa’s orphan outreach effort that provides homes for orphan children in the rural provinces of South Africa. This collaboration will bring local, national and international visibility to the foster care/orphan issue; connect teens living in similar situations in the respective countries, and importantly, forge sustainable relationships that extend beyond the inaugural trip to the World Cup. About the Foundation: Extra-Ordinary Life is a Washington DC-based program that operates within the Pursuit of Dreams Foundation (PDF), an established 501(c)(3) that provides intervention resources, motivation and guidance to youth. The PDF is founded/led by legendary University of Texas Track & Cross Country Coach Beverly Kearney. 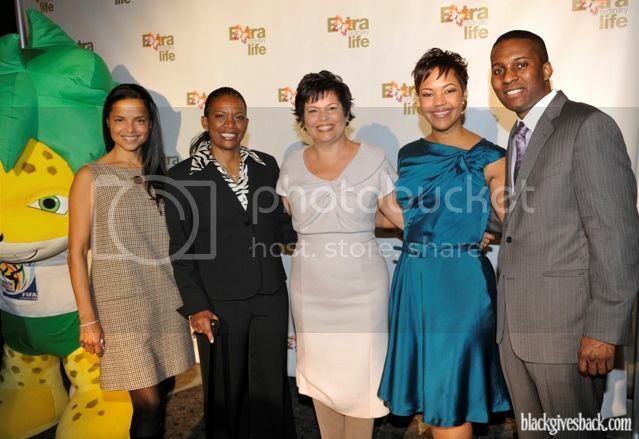 Visit the website at http://www.extra-ordinarylife.org/ and thanks to Carla Sims for the invite! Southfield, Mich. — Donald A. Coleman, Chairman of GlobalHue, the nation’s largest minority-owned, full-service marketing communications agency, today announces the Coleman Entrepreneurial Scholarship (CES) program. In its second year, the program provides scholarships to deserving African-American and Hispanic college students majoring or concentrating in entrepreneurship. CES was established as a testament to the importance of education, especially amongst ethnic youth in the United States. Furthermore, the program strives to promote entrepreneurship as a career choice amongst ethnic college students. CES was pleased to award 10 deserving students the scholarship last year and is proud to continue supporting students who have made a commitment to their educational endeavors towards entrepreneurial success in business. Up to 10 scholarships of $5,000 each will be awarded for educational expenses to full-time college juniors or seniors for use in the 2010-11 academic year. The CES program is sponsored by GlobalHue and managed by Scholarship Management Services®, a division of Scholarship America®. For more information, visit www.thecolemanscholarship.org or call Scholarship Management Services at 1.800.537.4180 and ask for The Coleman Entrepreneurial Scholarship. The Coleman Entrepreneurial Scholarship was established as a testament to the importance of higher education. Furthermore, the scholarship program strives to promote entrepreneurship as a career choice amongst ethnic college students. It is the vision of The Coleman Entrepreneurial Scholarship program to be a leading scholarship program that assists future generations of African-American and Hispanic entrepreneurs in fulfilling their dreams. GlobalHue is a full-service, culture-based marketing communications agency. GlobalHue was recently recognized as the “Multicultural Advertising Agency of the Decade” by Adweek. The agency has four divisions that together provide clients with a flexible approach to marketing to ethnic-specific segments and the total market: GlobalHue Africanic; GlobalHue Latino; GlobalHue Asian; and GlobalHue Next. Our offices are in Detroit (Southfield), New York and Los Angeles, as well as satellite offices in other key markets. The agencies have more than 350 employees who handle full-service marketing, advertising, media planning and buying, digital, events and promotions, and public relations for many clients. In 2008, GlobalHue’s capitalized billings were $820 million. GlobalHue boasts several blue-chip clients, including Verizon, Walmart, Chrysler Group LLC, U.S. Navy, Bermuda Department of Tourism, U.S. Census Bureau, FedEx, MGM Grand Detroit and Subway. 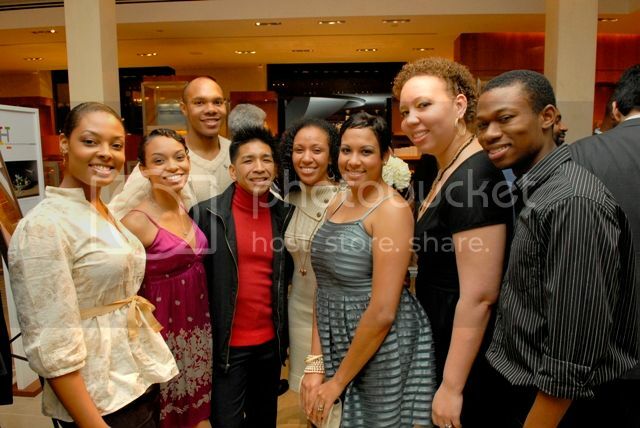 The Stafford Foundation: "Doing Good"
On January 20, 2009, the nation's 44th President Barack Obama was sworn into office. It truly was an exciting time in the nation's capitol and around the world. There were countless inaugural balls and festivities, among them The People's Inaugural Project. 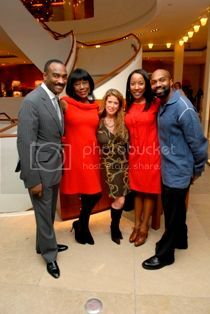 Earl Stafford, Chairman and Chief Executive Officer of The Stafford Foundation created the Peoples' Inaugural Project to bring together the underserved to witness and participate in the inauguration of Barack Obama. The project hosted a three day gathering that included an inaugural ball, a youth ball, a prayer breakfast and a luncheon. The Stafford Foundation invested more than $2 million in the project, and nearly 40 nonprofit organizations participated. Now, one year later, The Stafford Foundation has launched a new project: "Doing Good." The campaign marks the second national initiative of the People's Project, which provides an online forum on the foundation's website for people to share stories, inspire charitable activities and showcase individuals and organizations for their work to help others. 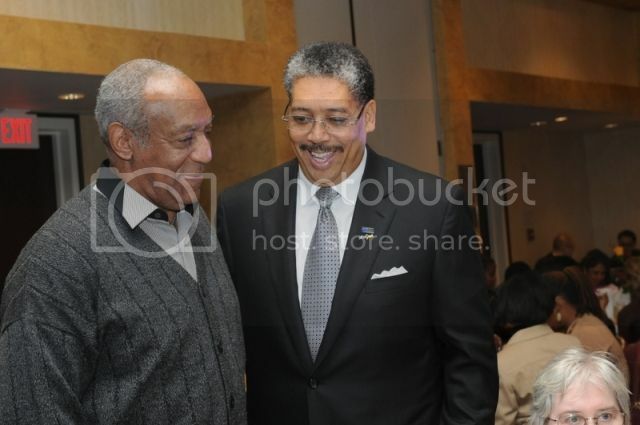 The campaign kicked off on January 20th at the JW Marriott Hotel in Washington, DC with special guest Bill Cosby, who stars in the campaign's PSA. In attendance were the foundation's many partners and grantees, among them the Interfaith Outreach HOME organization based in Atlanta. Dr. Frederick Zak, the Executive Director, shared with me that he contacted the Foundation last year after hearing about the People's Project, and was pleasantly surprised when he learned that the foundation would sponsor his families to attend. Not only did they cover travel expenses, but provided gowns and tuxedos! 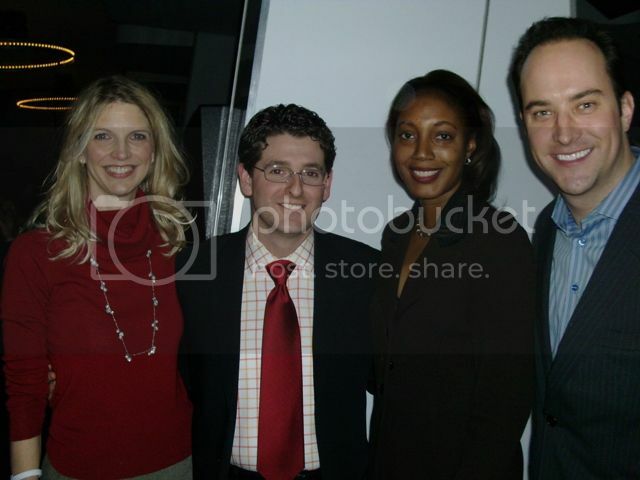 The Foundation also recently provided two scholarships for his organization's youth, one of whom accompanied Dr. Zak and was seated at Mr. Stafford's and Mr. Cosby's table. The campaign will help people who want to do good find a way to do so by: Helping people discover how their time and talent can be used to do good in their own communities, showing how their contributions will be used to do good, connecting groups that can work together to have more impact, supporting programs that directly provide support to those in need, and providing an easily accessible online platform to share Doing Good stories and create a community of Doing Good. "We will shine a spotlight on the amazing good that people are doing across the nation," said Lisa Bowen, TSF Director of Operations. "We believe the more people know about what good is being done and have ways to get involved to have positive impact, that more and more good will be done." Visit the foundation's website at http://www.thestaffordfoundation.org/. Mr. Cosby is one of my favorite people and I love his quotes, so I was excited to hear him speak! I'll leave you with a quote he shared: "Trust in Jesus, but lock your car." About the Foundation: Founded in 2002, The Stafford Foundation is a faith based non profit organization based in Reston, Virginia. The Foundation collaborates with and invests in capacity-building efforts that equip the underserved through programs that provide health, education, training and faith-based mission support. 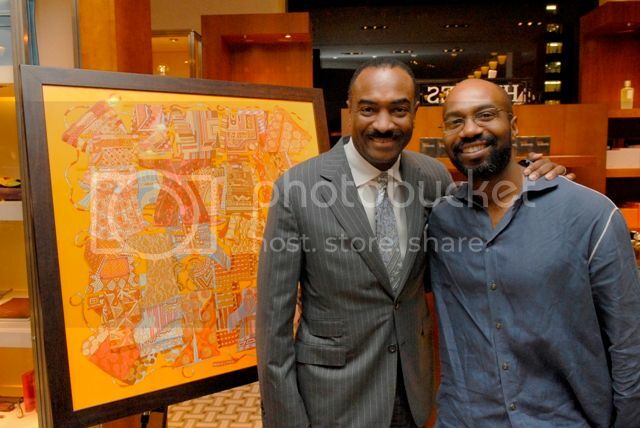 About Earl Stafford: Mr. Stafford serves as the Chairman and Chief Executive Officer for the foundation, and is also CEO of The Wentworth Group LLC, a holding company that provides financial and business support services to the small business community. He is the former Chairman and CEO of UNITECH, an award-winning training and simulation technology solutions company. He currently serves on the Boards of the Joint Center for Political and Economic Studies, Drexel University, Wesley Theological Seminary, Venture Philanthropy Partners and Business Executives for National Security. 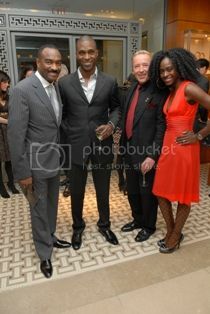 On December 3, 2009, Hermès hosted an elegant reception at its Madison Avenue flagship store in New York for friends and supporters of Evidence, A Dance Company, to celebrate the acclaimed dance troupe’s upcoming 25th Anniversary and to unveil a sumptuous limited edition scarf in the African motif “Voyage en etoffes” to commemorate the milestone. The French design house has been a supportive friend to The Company for several years. On hand to welcome guests were Maureen Baltazar, Senior Vice President, Hermès; Ronald K. Brown, Evidence, A Dance Company founder and Artistic Director; Reginald Van Lee, Evidence Board Chairman and Joyce Mullins-Jackson, Board Vice Chair along with Board members Joanne Hill, Gail Monroe Perry, and Andrea Hoffman, whose company Diversity Affluence forged the relationship with the luxury goods company. The exquisite silk scarf, bearing a unique pattern inspired by traditional African garb in desert tones of orange and sand, was unveiled at the event by the Evidence team. A portion of the scarves sales will benefit the much loved company. 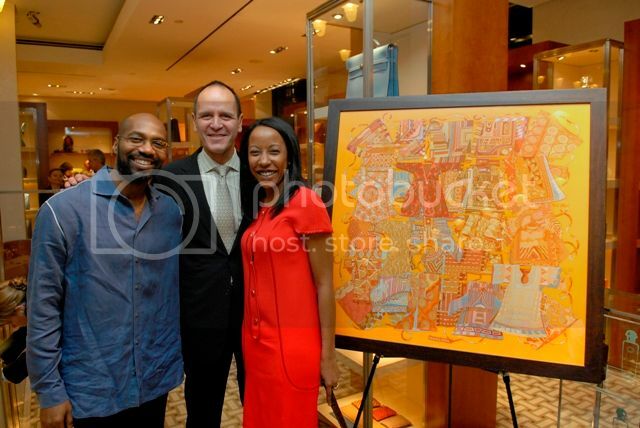 The scarf retails for $375 and is available for purchase at Hermès, 691 Madison Avenue at 62nd Street. Founded by Ronald K. Brown, Evidence, A Dance Company’s mission is to promote understanding of the human experience in the African Diaspora through dance and storytelling and to provide sensory connections to history and tradition through music, movement, and spoken word, leading deeper into issues of spirituality, community responsibility and liberation. For almost a quarter of a century, Evidence under the artistic direction of Brown has won critical acclaim and performed on stages around the world. This year Evidence, A Dance Company will honor founder Ronald K. Brown and longtime supporter Chairman of the Board Reginald Van Lee and Booz Allen Hamilton. The evening will begin with cocktails and an online auction of luxury items and once-in-a lifetime experiences, a Hermès boutique followed by a performance of “Grace,” Evidence’s signature piece, dinner, a live auction and special performances by Tony Award winner Jennifer Holliday and jazz great Peven Everett. 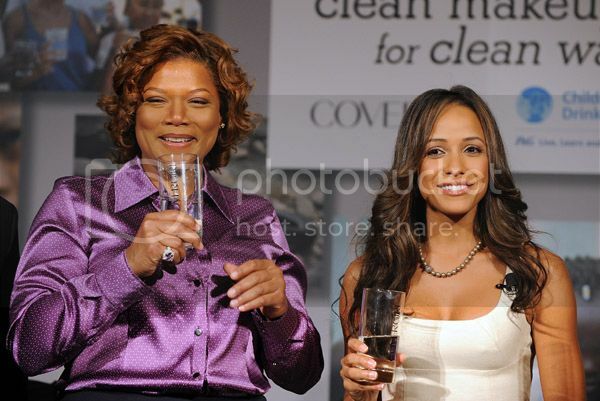 Famed actress and dancer Victoria Rowell will host the evening. Dress is black tie with a touch of silver. For tickets, Sponsorship and Underwriting Opportunities, contact Alex Diaz, The JFM Group, 438 Fifth Avenue, Pelham, New York 212-921-9070 Ext 16 or by email to evidence@thejfmgroup.com. Many significant events in our nation's history have occurred on the National Mall in Washington, D.C. In 1963, Martin Luther King gave his famous 'I Have A Dream' speech there. And last year, thousands lined the Mall to witness President Barack Obama's swearing in ceremony. The Mall also is host to numerous charitable and cultural events, including the annual National Black Family Reunion, and the Susan G. Komen Global Race for the Cure. Last June, I participated in the Komen walk, and I noticed something I hadn't seen before - the Mall looked worn and damaged. There were large patches of dirt where grass was supposed to be and flooding. DC delegate Eleanor Holmes Norton also has noticed, stating, "It does not deserve the name 'National Mall,' we ought to call it something else until it looks decent." You'll be glad to know that there is a non profit organization working to address this. The Trust for the National Mall is the official non profit partner of the National Park Service working to restore and improve the National Mall while providing new educational and volunteer opportunities to connect visitors to the Mall's rich history. The Trust states that three major areas of concern are the sinking of the Jefferson Memorial seawall, compacted, dry and barren turf; and stagnant and foul bodies of water. An accomplishment of the Trust is the founding of the L'Enfant Society, a group of Washington, DC area young professionals dedicated to raising awareness and funds for the restoration and preservation of the Mall. Many of its members hold positions of influence in the business, government and philanthropic sectors. On Thursday, January 14th, I attended the Society's reception at K Street Lounge in DC and spoke to member Jennifer Streaks (in photo above), an African American attorney, about why she became involved in this important effort. Jennifer, who is originally from Charleston, South Carolina, made DC her home after attending Howard University Law School and Johns Hopkins University, receiving her MBA in Finance. A practicing attorney, she is involved with many charitable organizations, including the Washington Ballet, the Junior League of Washington and the Alvin Ailey Dance Theater. When asked why she became involved with the L'Enfant Society, she shared that this is a national issue that impacts all, not just one segment. She shared with me that there is 30 years of deferred maintenance, and we cannot look to the government alone for help. As the only African American member of the Society, Jennifer has tried to recruit friends, and ultimately would like to see more of us involved. To date, the Society has raised $300,000. The L'Enfant Society has a major event coming up, the 'Ball on the Mall' that will take place on May 8, 2010 on the National Mall. Time Warner and HBO will serve as presenting sponsors and Toyota will serve as a platinum sponsor. Last year, over 600 people attended the inaugural sold-out signature ball. Visit the Trust for the National Mall website at www.nationalmall.org, and the L'Enfant Society HERE. 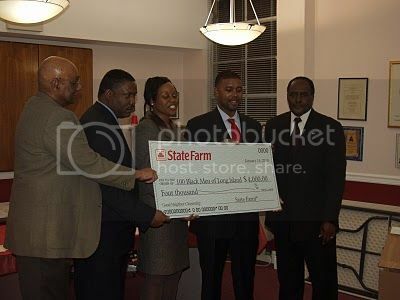 The 100 Black Men of Long Island, New York Inc., were recently granted with a $4,000 donation from State Farm Insurance for its annual African American Academic History Challenge, that was presented at the organization’s headquarters on January 13, 2010. The State Farm contribution to The Challenge will help fund educational and scholarship programs. “Education, safety, and community development are key components in State Farm Insurance Companies' goal of helping to build strong, safe, educated communities,” said Naomi T. Johnson, a spokesperson for State Farm Insurance. 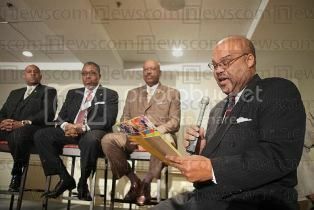 The 100 Black Men will host its African American Academic History Challenge Competition in Melville, Long Island on April 10, 2010. The Challenge is an educational and scholarship program designed to enhance the study of African-American history, and is intended to increase interest among young people about the legacy left to them, and in living lives worthy of the legacy. 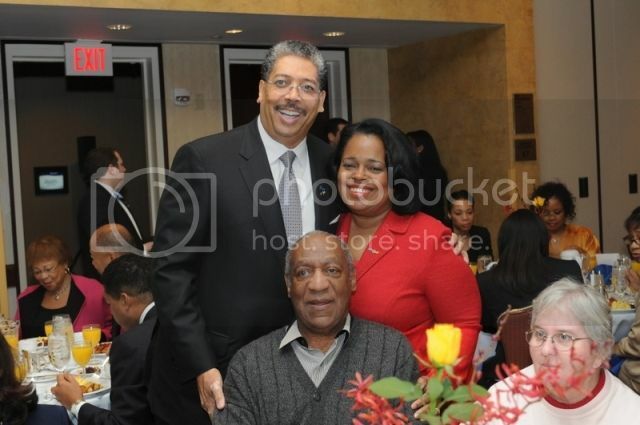 In the photo above: Maurice Perkins, Past President 100 Black Men of Long Island, Inc., Phil Andrews, President, 100 Black Men of Long Island, Inc., Naomi Johnson, Corporate Public Affairs, State Farm Insurance; Mandell Smith, State Farm Agent; and Henry Holley, Past President, 100 Black Men of Long Island, Inc.
For more information on The 100 Black Men of Long Island African American Academic History Challenge Competition, contact Warren Woodberry Jr. at 917-519-7745, or warrenwoodberryjr@gmail.com. Source: Phil Andrews, President of 100 Black Men of Long Island, Inc.
On Thursday, January 14, 2010, Bloomingdales celebrated National Mentoring Month and the store’s 12 year partnership with Mentoring USA, a New York City-based, one-to-one mentoring program, during a special window dedication. Bloomingdales recognizes the vital role that mentors play in the lives of today’s youth. Through the Mentoring USA program at nearby PS 59, Bloomingdales volunteers have mentored elementary school children for the past 12 years. Currently 90 Bloomingdales executives spend an hour every week with their mentees, talking, sharing, tutoring and encouraging their mentees to dream big for their future. “This annual celebration is a highlight to the month. We look forward to expanding our program with Bloomingdales in new markets like Chicago, and will partake in a joint national ‘Fashionable Fundraiser’ during the month of February,” said Stephen Powell, Executive Director of Mentoring USA. "Mentoring is a cost-effective investment that can enrich a child for a lifetime and I am blessed to lead the charge while forming and sustaining extraordinary program partnerships," continued Powell. National Mentoring Month display at Bloomingdales window, 60th Street and Lexington Avenue, New York City. For the window unveiling, mentees from PS 59 joined local celebrities in showcasing inspirational letters composed for the troops currently serving abroad. After the unveiling ceremony, NY Jets star Kris Jenkins talked to the mentees about the parental guidance that helped him become successful in his career. Jenkins encouraged the mentees to be ambitious, focus in school and never doubt their abilities to overcome challenging circumstances. Mentoring USA, founded in 1995, is committed to providing high quality, site-based, one-to-one mentors for youth. Mentoring USA's goal is to anchor these children in the form of early, consistent, frequent and supported attention by trained adult mentors. Mentoring USA operates in more than 30 mentoring programs and partnerships in New York City, Newark, NJ; Los Angeles, Las Vegas, Syracuse, Denver, Chicago, and Houston, and provides mentors to hundreds of youth between the ages of 7-21 every year. 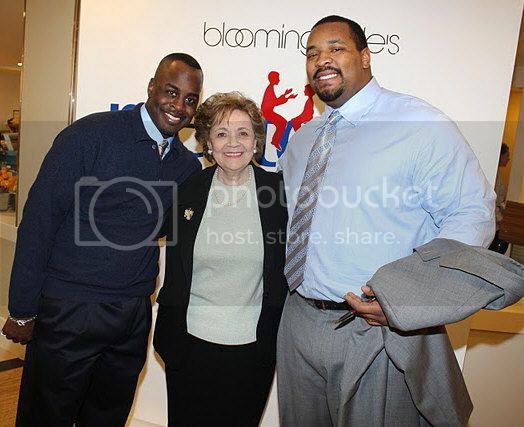 Mentoring USA’s BRAVE (Biased-Related Anti-Violence) initiative employs mentors to serve as ambassadors of cultural diversity to their mentees - adults work with youth on non-violent conflict resolution and developing respect and compassion for others. Through its programs, Mentoring USA also promotes financial literacy, healthy lifestyles and academic achievement. On Saturday, January 16, 2010, California Pizza Kitchen at Pentagon City Mall in Arlington, Virginia opened up its restaurant between the hours of 9am - 10:30am for a National Mentoring Month activity for mentors and mentees involved in the Life Pieces to Masterpieces arts program. 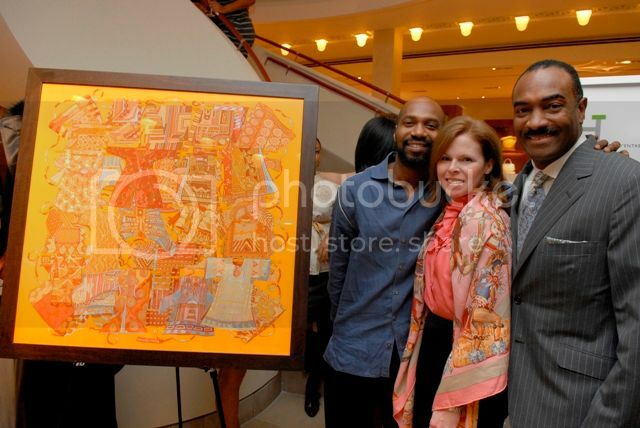 Life Pieces to Masterpieces is a Washington, DC-based nonprofit that lets African-American males channel their energy into art. Mentees and mentors had the opportunity to tour the restaurant, make mini pizzas, and design pizza boxes in honor of National Mentoring Month. International artist Lisa Jones (http://www.lisajonesaworkinprogress.me/) continued her support of the Life Pieces to Masterpieces program by designing a few boxes that will be auctioned off for charity on February 6th. The pizza boxes will remain on display at the CPK Pentagon City location for the remainder of the month. Celebrities joining Jones in support of the activity were Olivia Fox (102.3 - MAJIC); Renee Nash and Odessa Hopkins (96.3 WHUR); and Cayman Kelly (SIRIUS XM Radio). Life Pieces To Masterpieces (http://www.lifepieces.org/) has identified effective, innovative, and replicable strategies that have resulted in a dramatic improvement of the early childhood and youth development experiences of young, underserved, African American males living in the nation’s capital. Each day, the Life Pieces to Masterpieces mission is actualized through the use of a unique and effective four-part human development System called LPTM basics. This system is the foundation of the arts-based curriculum that guides the Life Pieces to Masterpieces programming. Since 1996, Life Pieces to Masterpieces has served more than 600 boys and young men and created more than 1,000 masterpieces. In photo: Life Pieces To Masterpieces mentors pose with celebrity guests. 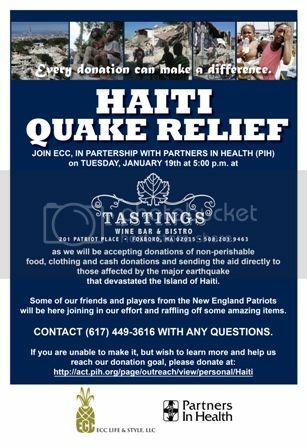 Via ECC Life and Style: "ECC Life and Style, LLC in partnership with the New England Patriots and Partners in Health (PIH) will be collecting goods and sending aid directly to the people of Haiti. PIH has worked in Haiti for nearly twenty-five years, and today is one of the largest non-governmental health care providers in the country, having one of the lowest administrative expenses overhead, meaning more goes to the people! 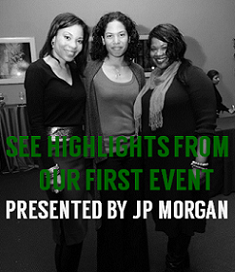 The event is today, January 19th, 5pm at Tastings Wine Bar & Bistro in Foxboro, MA. The event will collect donations as well as clothing - shoes, sandals, t-shirts, pants, underwear, shorts, socks, etc. ; eye wear - glasses, contact solution, cases, contacts; diapers and other items for babies, women’s hygiene needs, toiletries, first-aid kits, canned food and can openers, bottled water, flashlights, batteries, blankets and towels, games and toys for youth, and any other items." For more information on their fundraising efforts, visit HERE. Although Dr. King is no longer with us, his spirit and dream live on. January 18, 2010, marks the 16th annual Martin Luther King, Jr. Day of Service. It is a day for us to transform Dr. King’s life and teachings into community service to help solve social problems. One of our nation’s glaring social problems is the plight of African American children trapped in the foster care system. According to the US Department of Health and Human Services Administration for Children and Families, nearly 800,000 children experience foster care every year. Although the 2000 US Census reported that African American children represent 15 percent of the total U.S. population, they make up 35 percent of all children in the child welfare system. Additionally, more than 50 percent of African American children in foster care are boys. How can we help our African American children realize Dr. King’s dream? One way we can start is by becoming involved with the National Court Appointed Special Advocate (CASA) Association, a nonprofit organization that I support because it has been proven to work for children in care. CASA is a national network of trained community volunteers who are appointed by judges to watch over and advocate for the safety and wellbeing of abused and neglected children. Research shows that children with a caring CASA volunteer by their sides are significantly more likely to find safe, permanent homes. Less than 10% of children who have had a CASA volunteer return to the foster care system. Today, more than 68,000 CASA volunteers serve more than 240,000 abused and neglected children through 1,018 program offices across the US; however, only 12 percent of these volunteers are African American [emphasis mine]. As the chief presiding judge over the Georgia juvenile court system, I saw many abused and neglected children fall through the cracks, only to end up permanently in the criminal justice system and be a drain on the social service system. As we reflect on Dr. King’s dream and his tireless service to our nation, it is paramount that we stand up and fight for our children in foster care. For more information about National CASA or the local CASA program in your area, call 1-888-805-8457 or visit online at www.CASAforchildren.org." 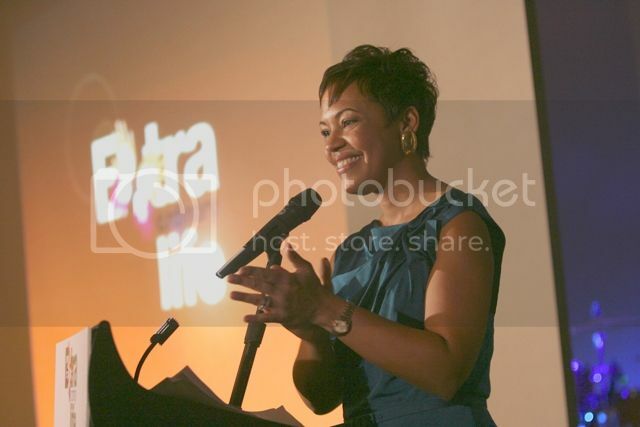 Judge Glenda A. Hatchett, author of Say What You Mean and Mean What You Say!, is a nationally recognized authority on juvenile issues and serves as a national spokesperson for the National CASA Association. DETROIT, MI (January 4, 2010) – In the midst of a very cold winter and in a struggling economic climate, On Wheels Media, Inc and Hyundai Motor America are coming to the aid of Detroit area residents with a practical donation of 1,000 winter coats. 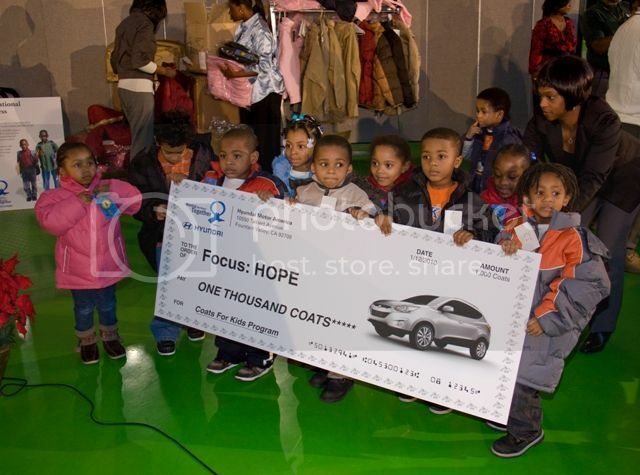 Working with Focus: HOPE, a nationally recognized civil and human rights organization in Detroit, the companies will distribute new jackets to the children, families and participants of The HOPE Village Initiative program. 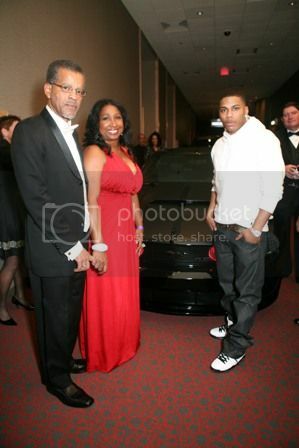 In the photo are Randy Payton, President and CEO of On Wheels Media, Inc.; Karen Payton, Vice President of On Wheels Media, Inc.; and hip hop artist Nelly in front of Nelly's customized 5.0 Ford Mustang GT at the 14th Annual Urban Wheels Awards on January 12th in Detroit. “We are thankful that Hyundai chose to partner with us to donate coats to the community the day of the 14th Annual Urban Wheel Awards, and to make it a part of the program at the Sound Board Theater in the MotorCity Casino Hotel on January 12, 2010,” said Randy Payton, president and CEO of On Wheels Media, Inc. “In addition to recognizing the contribution of minorities in the auto industry, we at On Wheels are committed to giving back, through scholarship and other community outreach programs. In this instance, Hyundai stepped up and made this coat donation possible, showing the auto industry continues to be a big player in helping our communities grow.” In photo: Hip Hop Artist Nelly, Vice President of On Wheels Media Karen Payton, and Randy Payton, President & CEO of On Wheels Media attend the 14th Annual Urban Wheel Awards at The Soundboard, Motor City Casino on January 12, 2010 in Detroit, Michigan. On Wheels Media, Inc. is a multi-media communications company that produces consumer-oriented print and digital publications, Websites, and broadcast properties and events. Publications include the all-new DECISIVE magazine, a comprehensive multi-media platform for multicultural consumers. The company also produces African Americans On Wheels and Latinos On Wheels magazines, which are distributed throughout the United States and have a combined readership of 8 million. For 14 consecutive years, On Wheels Media has hosted the Urban Wheel Awards in Detroit advocating the importance of diversity in the automotive industry and shines a spotlight on the contributions of minorities in the industry. The theme for this year’s show is “Stimulating Minority Business Development.” To raise awareness of its importance, top government officials and Detroit politicians were invited to present awards to automotive companies and suppliers. The 14th annual awards gala began with a VIP reception and Green Carpet at 5:00 p.m. at the Sound Board Theater, Motor City Casino Hotel in Detroit. During the ceremony, On Wheels Media’s Edward Davis Education Foundation presented high school and college students with scholarships to pursue careers in the automotive industry and communications. 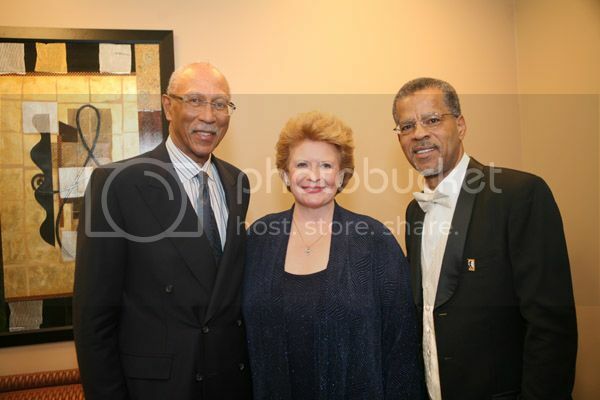 Detroit Mayor Dave Bing, Senator Debbie Stabenow and Randy Payton, President & CEO On Wheels Media Inc. attend the 14th Annual Urban Wheel Awards. 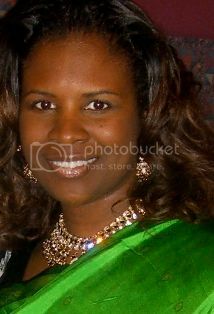 For information on the 14th Annual Urban Wheel Awards visit: www.urbanwheelawards.com. Source: On Wheels Media, Inc. Photos: Wireimage & On Wheels Media, Inc.
PHILADELPHIA, Jan. 8 /PRNewswire/ -- Big Brothers Big Sisters of America and leaders of the nation's largest African American fraternities enter National Mentoring Month 2010 with a bold action plan to significantly increase the number of black Big Brothers, beginning this year. During the summit, Big Brothers Big Sisters' national president, Karen Mathis, hosted agency leaders, heads of the Alphas, Kappas and Omegas, mentoring advocates/supporters, 100 Black Men and Susan Taylor's National Cares Mentoring Movement. Georgia Congressman John L. Lewis and Rev. Dr. W. Wilson Goode, Jr. shared strategies with the national non-profit and fraternity leaders about how to build national movements. Goode, former Philadelphia mayor and member of Kappa Alpha Psi fraternity, is the father of the national non-profit's successful Amachi Mentoring Children of Prisoners program and serves on the board of Big Brothers Big Sisters Southeastern Pennsylvania. Lewis, a renowned civil rights leader, is a member of Phi Beta Sigma, another fraternity expected to join the national black fraternity mentoring collaboration. Details of the plan include specific actions by fraternity leadership and chapters as well as Big Brothers Big Sisters of America and its agencies, particularly those identified as serving the largest number of African American families. For more information, visit www.mentoringbrothers.org to learn how to become a Big Brother in a community-based or school based program in your community. This past holiday season, a total of $10.57 billion was spent online, that included $595 million spent on Black Friday (the day after Thanksgiving) alone. Just imagine if a portion of that money went to charity. (1) Board members are finding themselves spending 80 percent of their time discussing fundraising and 20 percent providing counsel on executing the vision and mission during their board meetings; (2) Many non-profits are using the same marketing tactics as other non-profits to reach their givers thus having difficulty differentiating themselves; and (3) Charitable supporters have less to give, thus they are forced to reduce the number of organizations they chose to give to. These observations were the catalysts for The Giving Seed to create solutions that enable non-profits to tap into the economic power of its members and supporters to generate incremental funding. One of a handful of national companies delivering this type of innovative solution, The Giving Seed differentiates itself by leveraging their passion and experience in building brands in the for-profit business sector. The stream of funding for the non-profit is created by a portion of the proceeds of the supporters’ on-line shopping purchases from 50+ online retailers including Amazon.com, Office Depot, Wal-Mart.com and Priceline.com being allocated to the non-profit. Thus a seed of change is planted in the community through no real change in the behavior of the supporters. Non-profits working with The Giving Seed have an opportunity to generate $5,000-$100,000+ per year in incremental revenue. The company currently works with more than 30 organizations and non-profits around the country, including their newest partner Morris Brown College in Atlanta, Georgia. “We feel that The Giving Seed will enhance our efforts to create new revenue streams,” says Dr. Stanley Pritchett, President of Morris Brown College. Monika and her brother, Troy Bailey, (in photo) considers themselves to be “philanthropreneurs” in the sense that through The Giving Seed, they have been able to fuse their talents for cultivating opportunities with their passion for promoting the well being of human kind. As philanthropreneurs, their goal for The Giving Seed is to reach 500,000 people and animals through the non-profits they serve and within three years give 90% of The Giving Seeds’ profits to the non-profits it serves. 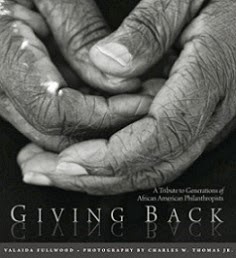 To learn more about The Giving Seed visit www.thegivingseed.com or email bethechange@givingseed.com. Via Ketchum Public Relations: On January 18, Points of Light Institute and HandsOn Network will engage the nation in a MLK Day Virtual Town Hall—an online, interactive dialogue that bridges social, economic and cultural diversity by illuminating service that Americans will undertake to bring us closer to Dr. King’s dream of one community. In addition to the MLK Day Virtual Town Hall, HandsOn Network in collaboration with civic and service organizations and our network of 250 affiliates and 70,000 nonprofit partners, will engage more than 100,000 volunteers in 1,500 projects across the U.S. And, we will convene more than 150 “deliberate dialogue” discussions in cities across the nation led by mayors and HandsOn Corps members. We will showcase local dialogues and service impact across the nation via a live web simulcast to six markets (Atlanta, Washington, D.C., New York, Phoenix, Sacramento and St. Louis). We have already confirmed the participation of several mayors and other dignitaries in our Jan 18 MLK Day Virtual Town Hall and our service event participation including Congressman John Lewis, Miami-Dade County Mayor Carlos Alvarez, Chicago Mayor Richard Daley, Phoenix Mayor Phil Gordon, and Sacramento Mayor Kevin Johnson, Birmingham Mayor Larry P. Langford, NY City Schools Chancellor Joel Klein and D.C. Councilmember Muriel Bowser. Viewers and participants from across the nation can join the MLK Day Virtual Town Hall beginning at 8 a.m. EST on Monday, January 18 by logging on to http://www.handsonnetwork.org/events/mlk2010/join. One of the greatest societal ills currently facing the African American community is children growing up in fatherless homes. Only 30 percent of black children are growing up in two parent homes. It has been well documented in research studies that these children are more likely to do poorly in school, to drop out of school, and to become involved in criminal activity. President Obama knows firsthand about growing up without a father. In a letter he wrote to his daughters that was published last Father's Day, he shared that as he walked the streets in Chicago's south side as a community organizer, he often saw boys struggling with the absence of their fathers. And Bill Cosby stated in his best selling book, Come on People!, that "a neighborhood without fathers is a catastrophe." The title of this post is the theme for this year's 2010 Annual National Mentoring Month campaign, that highlights the need and importance of mentors in helping our youth succeed in life. Across the nation, there are thousands of black boys waiting to be paired with a mentor, but there aren't enough black males stepping up to become mentors. My first experience with mentoring wasn't a good one. I was in my early 20s, and thought I'd volunteer as a mentor as a way to give back as an undergrad psychology major. I was paired with a 14 year old girl, whose mother was addicted to crack. The organization that matched me didn't know about the girl's home environment. When I first visited her, I was sent to her home in a heavily drug infested housing project and was greeted by her skinny and pregnant mother, who immediately asked me for money. As time went on, when I would visit my mentee to take her on outings, the rest of her siblings wanted to go and cried when we left. So I not only became a mentee to one young girl, but to her entire family. I even picked up her older sister from her prom. I did tell the organization about her mother, but nothing was immediately done. Eventually, child protective services removed all children from the home. Of course, this experience made me not want to ever mentor again. 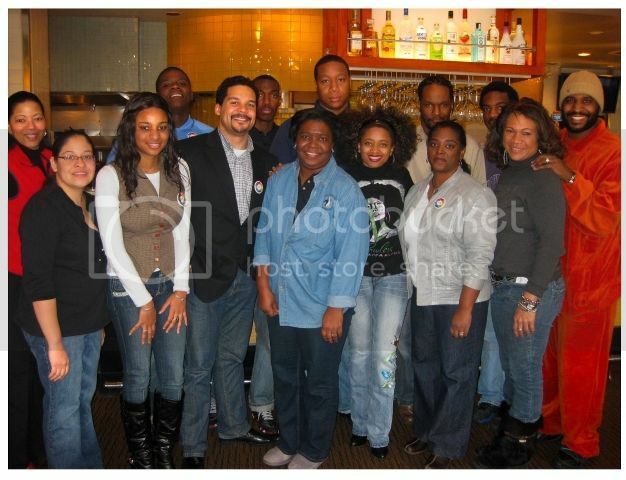 Several years later, I was asked to help a DC area mentoring program recruit mentors. I initially scoffed at the idea, but then I thought I could use my experience to help prepare mentors in their new role. As I worked with the mentors in that program, I began to see firsthand how mentoring makes a positive and lasting impact. I then became a passionate advocate for mentoring. 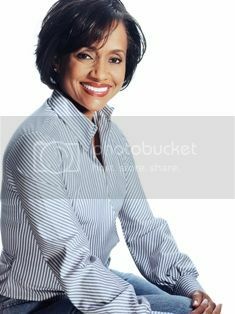 Once, we even got a call from the Judge Hatchett show asking for a mentor! You may be thinking that you don't have the time to mentor a child, but it was at this program that I learned about group mentoring, that is, a group of individuals that mentor a small group of youth together. As a suggestion, you can gather your friends together to take a group of youth on field trips and participate in community service projects. 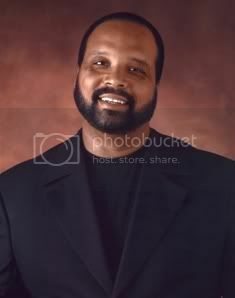 I hope that African American men reading this will take on a new opportunity in 2010 by mentoring! Each year since its launch in 2002, National Mentoring Month has enjoyed the strong support of the President and the United States Congress. Other prominent individuals who have participated in the campaign include: Maya Angelou, former President Bill Clinton, Clint Eastwood, Senator John McCain, Quincy Jones, Cal Ripken, Jr., Bill Russell and Usher. Visit the National Mentoring Month website HERE to learn 10 things you can do this month to support mentoring and to learn of mentoring opportunities in your community. Upcoming Event: If you're in NYC, visit HERE for information on an upcoming happy hour and fundraiser for Bigs United on January 11th. Bigs United is a group of African American mentors and volunteers who have launched an aggressive grassroots campaign to recruit additional African American volunteers to mentor youth in New York City. 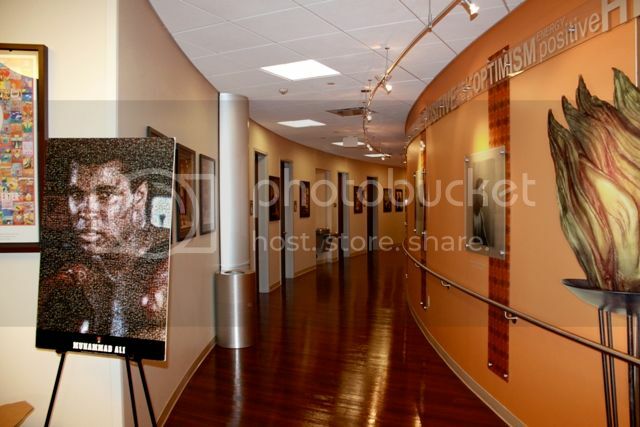 On December 3, 2009, Arizona’s sports celebrities and philanthropists celebrated the opening of the Muhammad Ali Parkinson Center with Muhammad and Lonnie Ali. The center is located at the Barrow Neurological Institute at St. Joseph's Hospital and Medical Center in Phoenix, and is the nation’s most comprehensive Parkinson’s disease facility. With about 60,000 new cases diagnosed each year, there are currently 1 million Americans with Parkinson's disease. As of yet, there is no cure. Ali, who is a three time heavy weight boxing champion and the most famous athlete in history, attended the grand opening event. He was diagnosed with the disease in 1984. Physicians at the new 10,000 square-foot facility are expected to see about 1,600 new patients annually, double the current number and thousands more patients and their families are expected to attend one of the center’s numerous classes, support groups or exercise activities. The Muhammad Ali Parkinson Center is funded by donations, and its primary funding source is Celebrity Fight Night, an annual star-studded event that is attended by the Ali’s. At the grand opening it was announced that Lonnie and Muhammad Ali have established a fund at the Arizona Community Foundation to provide support in the areas of education and patient care for indigent families. GREENSBORO, N.C., (Dec. 30, 2009) — The International Civil Rights Center & Museum (Museum) today announced singer Yolanda Adams will headline its Celebration of Unity Service on Sunday, Jan. 31, 2010, and journalist Ed Gordon will lead the Town Hall Forum on Thursday, Jan. 28, 2010. These two events are part of the grand opening activities for the Museum, which will open in Greensboro, N.C., on Feb. 1, 2010, commemorating the 50th anniversary of the famed lunch counter sit-ins. Town Hall Forum: Ed Gordon, Emmy award-winning journalist and host of “Our World with Black Enterprise,” will moderate the Town Hall Forum on Thursday, Jan. 28, 2010. The Forum will focus on 21st Century Activism and Protest and will be held at North Carolina A&T State University’s Alumni Center from 6 p.m. to 8 p.m. The event is being co-sponsored by N.C. A&T State University and Bennett College. Rev. Jesse Jackson, Rev. Al Sharpton, Dr. Benjamin Chavis and Bennett College President Dr. Julianne Malveaux are among the panelists. Yolanda Adams is among the entertainers for Celebration of Unity, an ecumenical service featuring the Grammy® award-winning contemporary gospel singer on Sunday, Jan. 31, 2010. Motivational speaker, author and Pastor Dr. Jamal Harrison Bryant and Rev. Samuel “Billy” Kyles will also be in attendance for the event, which will be held at the Greensboro Coliseum beginning at 6 p.m. This event is free and open to the public. 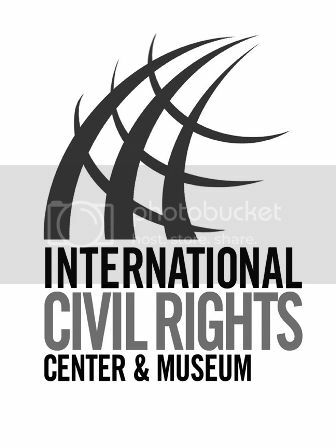 The International Civil Rights Center & Museum will open February 1, 2010, and function as an archival center, collecting museum and teaching facility devoted to the international struggle for civil and human rights. For more information about the center's grand opening schedule of events, visit www.sitinmovement.org/savethedate.